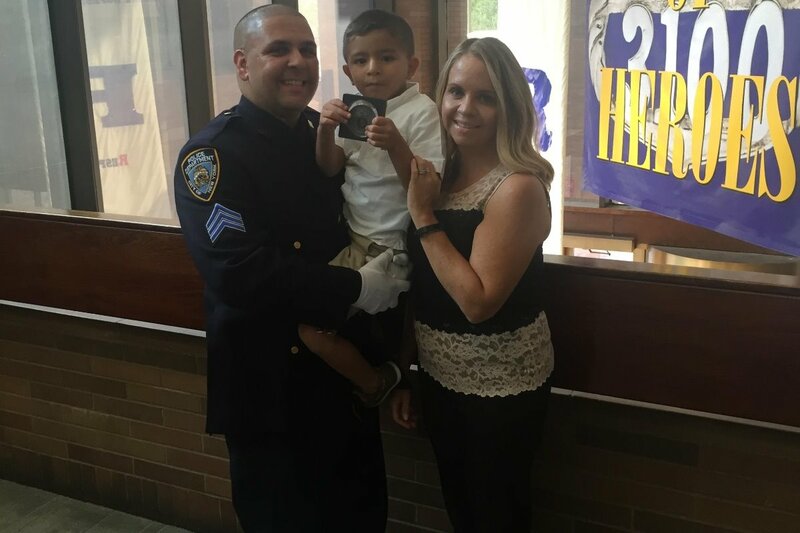 NYPD Sergeant Mario Di Leo and wife Jodi Di Leo need your help. In 1985, at the young age of 10, Jodi was diagnosed with Kidney failure. After endless amounts of tests and appointments she was fortunate enough to have her father, a New York City Police Detective, as a direct match. On November 11th, 1985, Jodi underwent a successful Kidney Transplant and has lived a healthy life for 33 years. In recent months, Jodi’s kidney function has drastically declined and she is in need of a 2nd transplant. Fortuntately, a 2nd generation of law enforcement has come to the rescue. Her husband, Sergeant Mario Di Leo, underwent numerous tests and has been deemed a match! On February 12th, 2019 Jodi and Mario will undergo kidney transplant surgery at Mt. Sinai Hospital. This GoFundMe has been established to help during this trying time. The Di Leo family needs our help and support as both spouses will be unable to work during their extensive recovery period. All money donated will help with the current and futue medical expenses, including but not limited to copays/deductibles, medications, transportation to and from appointments and child care for their 6 year old son, Matthew. Insurance will cover some of the cost, but not all. I wanted to update you on the surgery and subsequent recovery process! Jodi and I underwent successful Kidney Transplant Surgery on Tuesday, Feb. 12th at Mt. Sinai Hospital. The surgery went off without any issues, and we were both discharged on Friday, Feb 15th! Jodi has been doing very well thus far, as she looks and feels great outside of normal surgical pains. We could not have asked for a better outcome as her surgical team was incredible. I have some abdomen pain, but nothing that wont subside in due time. The love and support shown by all has been absolutely overwhelming. I cannot thank you all enough. Jodi and I are planning on donating a portion of this GoFundMe to two organizations: The Mt. Sinai Recanati/Miller Transplantation Institute and also the National Kidney Foundation. Both have been absolutely incredible throughout this journey!